Having a warm coat and winter gear for you or your children is something that most people don’t even think twice about. But if you are a newly resettled refugee relocated from a desert climate to Cleveland, Ohio, preparing for the bitter cold of winter may not be something that comes naturally or that you have funds for. This is something members of our stake learned while volunteering at a local refugee resettlement center here in Cleveland that they found through JustServe.org. 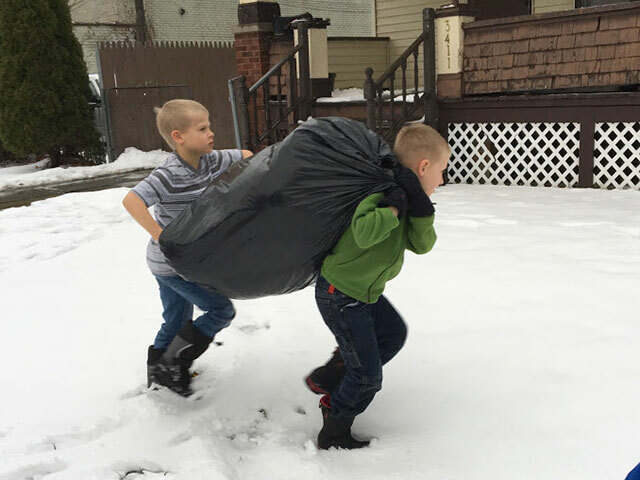 After seeing many newly resettled individuals and families without sufficient gear for the cold weather, members of the Cleveland Ohio Stake jumped into action to help these new neighbors not only stay warm this winter but feel welcome and remembered as well. Led by the Relief Society sisters, the Cleveland Ohio Stake put on the Warm Welcome Coat and Blanket Drive for local refugees in partnership with the USCRI–Cleveland field office (U.S. Committee for Refugees and Immigrants). Beginning in mid-November, collection boxes were distributed to the ward buildings for donations of hats, gloves, scarves, blankets, and coats. These items were to be collected until mid-December, when volunteers from the ward and community would sort donations, fill orders for those in need, and deliver these items to families. Donations of new and gently used items poured in—so many that an unscheduled collection pick-up was needed halfway through the donation period. The outpouring of love and generosity for our newest neighbors was heartwarming. 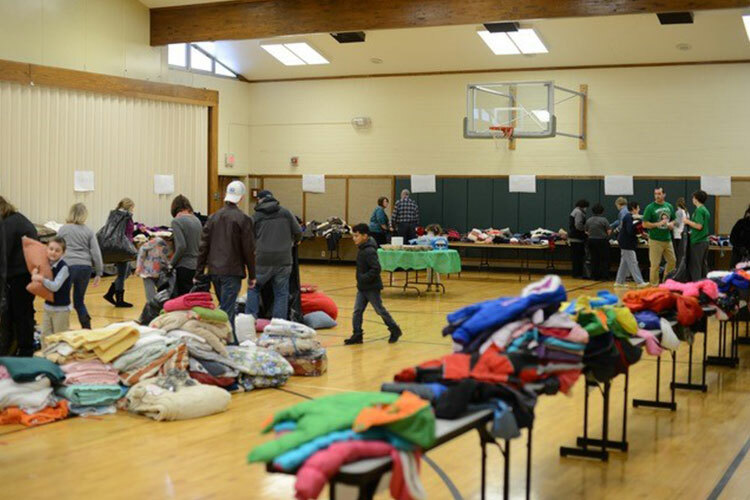 On December 17 the stake center gym was filled with the remaining donations. 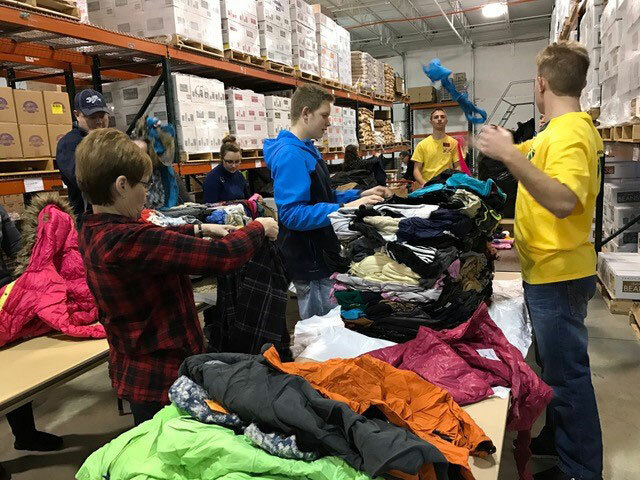 Alongside workers from the USCRI, members and nonmembers alike came to sort and distribute cold weather items for those individuals and families in need. 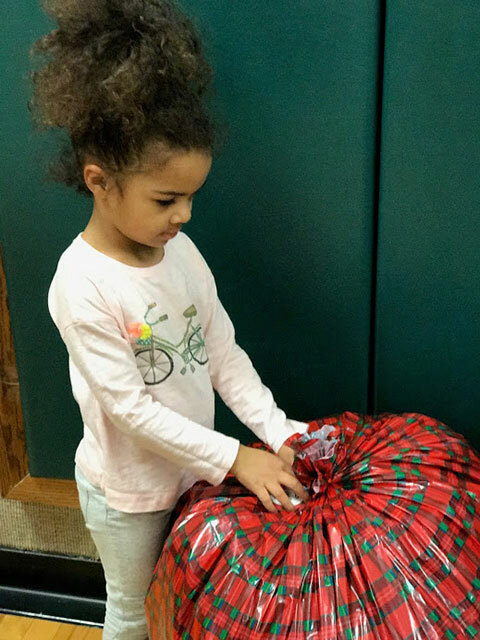 With donations from the community, Church members, Coats for Kids, and the Church’s humanitarian department, we were able to collect over 875 winter coats, 500 lightweight jackets, and 168 blankets as well as over 1,600 hats, gloves, and scarves combined. On the day of the service project, many of these items were immediately distributed to volunteers and delivered to families. Those who had the opportunity to go and deliver the items had life-changing experiences that they won’t soon forget. Though most of the refugee families spoke little to no English, they welcomed our volunteers into their homes, many insisting on cooking them meals or doing something to repay them for their kindness. Many volunteers made a strong connection with those they met and have since returned to visit, share a meal, and have their children play together. Members served over 340 volunteer hours on this project and met the needs of over 58 families, totaling 370 individuals. Volunteers at the USCRI organized the remaining items to meet future needs, including the needs of over 450 new refugees expected to resettle in Cleveland in 2017. A service project that started out to warm the bodies and hearts of these newly resettled refugees has warmed the hearts and lives of all involved. We are so grateful to have been on the Lord’s errand to serve the needs of our brothers and sisters.